Weapon Depot is an online marketplace and auction site with firearms for sale, ammunition, gun parts, weapon accessories, tactical gear & more. Start Selling and Buying on Weapon Depot Today! Weapon Depot brings buyers and sellers closer together with a hassle free gun buying experience. Shop from thousands of trusted online sellers and gun stores across the world. Join the Weapon Depot selling community today for free! Our community of shoppers can’t wait to see what you have in-store. It’s free to start a store and list products. Browse through thousands of products sold by hundred of vendors and get exactly what you want on a reasonable price. KryptAll provides user initiated voice encryption technology for calls to anyone, to or from anywhere in the world, without generating a record of the outgoing call. The user’s call cannot be intercepted or traced with the freedom to call anyone. We are here with all your guns, rifles, gun parts, ammo and accessories. 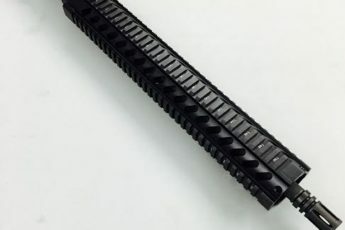 KM Tactical specializes in AR platform parts and accessories. We also carry a full line of shooting sports accessories. More than an auction site and more than an online store, Weapon Depot is a marketplace providing the greatest platform for like-minded enthusiasts to connect and to safely buy and sell firearms, ammunition, parts and accessories as well as hunting, camping, archery, fishing, and tactical gear.